Drone Media UK is produced and maintained by industry professionals. The news coverage and editorials are built on solid market knowledge, familiarity with the technology and regular dialogue with industry insiders. Our experience and connections afford our readers and subscribers with stories, product news and content found across the web, as well as our own editorial content and updates written solely for Drone Media UK. We can put together custom advertising campaigns across different media vehicles. This gives your advertising budget an added force multiplier. 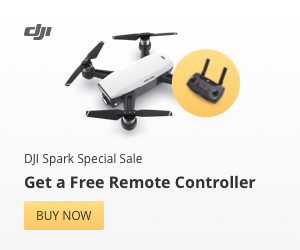 Contact the Drone Media UK sales representative for more information. The display elements of the site are can be positioned on the home page or on any subsequent sections of the site. They provide a strong branding opportunity for your brand or product as your potential customers (our readers) read the content these ads surround. Rich media allows you to provide more interactive and sophisticated advertising content. It allows the user to interact with your brand and your advertisement. The DroneMedia.co.uk site is able to take all rich media formats so the list below is an example rather than an exhaustive list. www.DroneMedia.co.uk provides a number of regular e-zine newsletters for our readers. These are all opt-in subscribers and this provides an opportunity for you to advertise directly into their inbox.